This dataset includes recommended positions and salaries for 2012 by title (without names) and salary. The dataset is excerpted from the 2012 Budget Recommendations, which is the line-item budget proposed by the Mayor to the City Council for approval. Disclaimer: the “Total Budgeted Units” column displays either A) the number of employees AND vacancies associated with a given position, or B) the number of budgeted units (ie. hours/months) for that position. “Position Control” determines whether Total Budgeted Units column will count employees and vacancies or hours/months. If a Position Control is 1, then employees and vacancies are displayed; if a Position Control is 0, then the total number of hours/months recorded is displayed. Owner: Budget and Management. Frequency: Data is updated annually. For more information about the budget process, visit the Budget Documents page: http://j.mp/lPotWf. The Annual Appropriation Ordinance is the final City operating budget as approved by the City Council. It reflects the City’s operating budget and anticipated grants at the beginning of the fiscal year on January 1, 2011. This dataset displays the positions and related salaries detailed in the budget. The data is extracted directly from the personnel portion of the Appropriation Ordinance. The dataset presents the position titles (without names) and salaries described in the budget, but does not provide a reflection of the current city workforce with full names and salaries. Disclaimer: the “Total Budgeted Units” column displays either A) the number of employees AND vacancies associated with a given position, or B) the number of budgeted units (ie. hours/months) for that position. “Position Control” determines whether Total Budgeted Units column will count employees and vacancies or hours/months, etc. If a Position Control is 1, then employees and vacancies are counted; if a Position Control is 0, then the total number of hours/months, etc. recorded is displayed. Owner: Budget and Management. Frequency: Data is updated annually. For information on the current city workforce, with names, positions and salaries, visit the "Current Employee Names, Salaries, and Position Titles" dataset: http://j.mp/iutKlR. 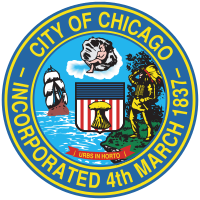 This dataset is a listing of all current City of Chicago employees, complete with full names, departments, positions, and annual salaries. For hourly employees the annual salary is estimated. Data Owner: Human Resources. Frequency: Data is updated quarterly. For information on the positions and related salaries detailed in the annual budgets, see https://data.cityofchicago.org/browse?limitTo=datasets&q="Budget+Ordinance+-+Positions+and+Salaries"&sortBy=newest&tags=budget. Number of employees in each department or sister agency who owe funds to the City. For each department, the dataset provides the following as of the date noted: total number of individuals employed by the department or agency, number of individuals that owe funds to the City in the department; and the total amount of debt owed by those employees. Data Owner: Revenue. Time Period: mid-October 2011 to present. Frequency: Data is updated weekly. -	Voucher Number: This is a unique number assigned to each payment and is used for identifying that particular payment. -	Amount: This is the dollar amount of the payment made. -	Payment Date: This is the date payment was issued. -	Vendor Name: This is the name of the person or entity to which payment was made. -	Description: This is an optional field that indicates the reason payment was made. Employees may be reimbursed for expenses through two mechanisms. This dataset shows reimbursements through the payroll system. See https://data.cityofchicago.org/d/g5h3-jkgt for reimbursements through direct vouchers. Employees may be reimbursed for expenses through two mechanisms. This view shows mileage reimbursements through the payroll system. See https://data.cityofchicago.org/d/g5h3-jkgt for reimbursements of multiple types through direct vouchers. On May 16, 2011, Mayor Emanuel enacted Executive Order 2011-1. It requires Shakman-exempt employees of Executive Departments, department heads, non-clerical employees of the Mayor's Office, and persons appointed by the Mayor to City boards, commissions, authorities or agencies on or after May 16, 2011, to sign an Ethics Pledge http://bit.ly/mSkLU1. On July 28, 2011, this requirement was enacted into law by the City Council, as Section 2-156-015 of the Governmental Ethics Ordinance (effective September 8, 2011) http://bit.ly/qYti7P. The law requires new hires or appointees to sign the pledge within 14 days of starting their employment or appointments. The pledge obligates signers to abide by a ban on lobbying activity for two years after their City service ends. The Board of Ethics maintains these signed pledges. As a convenience, we are pleased to attach a list of persons who have signed this pledge. This list is sortable by name and department. 2012 Training will begin in April.